Multiple Teams · Feb 14 Girls Varsity reach first Sectional Finals since 2006! Article from the Times newspaper: http://www.nwitimes.com/sports/high-school/girls-basketball/bishop-noll-advances-to-face-hebron-in-class-a-sectional/article_16b2d94d-3dda-52a9-a61a-8d99968d9adb.html Please support our Lady Hawks tonight! Come out to support your Girls Varsity Basketball team as they take on the Boone Grove Wolves at Boone tonight at 5:30 p.m in the Class 2A Sectional 33 Semi-Finals! All fans are encouraged to wear a red shirt to support the Girls. 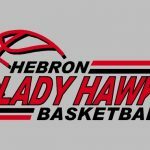 Lets go Hebron, support your Lady Hawks! Boone Grove High School will be hosting the 2015 Basketball Girls Sectionals. Hebron plays Whiting on Tuesday, February 10th at 7:00pm 2015 Basketball Girls Sectional Information. Madison Bell is the 2015 P.C.C. James W. Dold Mental Attitude Winner. She tied in the voting so will share this with Megan Heinold from Kouts. 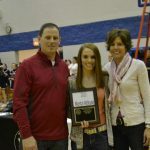 Madison is the fourth Hebron Athlete to receive this award in Girls Basketball. Congratulations!